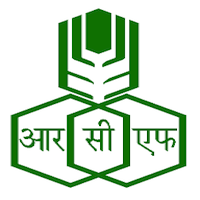 Online Application Details for Rashtriya Chemicals and Fertilizers Limited RCF Recruitment of 67 Diploma Trainees and 41 Trade Apprentices is given below. Application form and duly attested documents are to be sent to Chief Administrator (Human Resources), Administrative Building, Mahul Road, Chembur, Mumbai Maharashtra-400074. In envelope super scribed with 'Application for the Post of Post Name'.